The tiger is a beautiful and majestic animal. Its eyes are a symbol of vigilance and strength as the tiger looks to pursue its prey. This six-piece set is heavily inspired by the tiger and its amazing appearance. 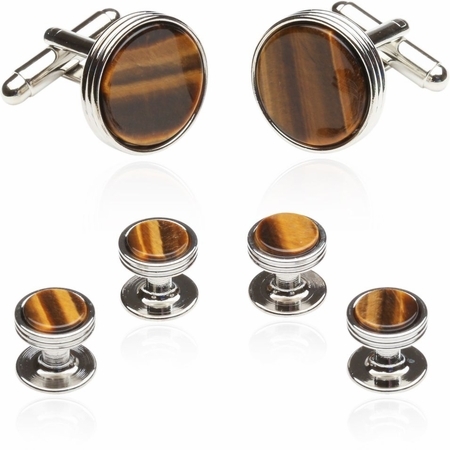 It features a solid gem stone set that has been carefully crafted with a dark tone and smooth surface. An enamel coating is also included to keep it from scratching all that easily. 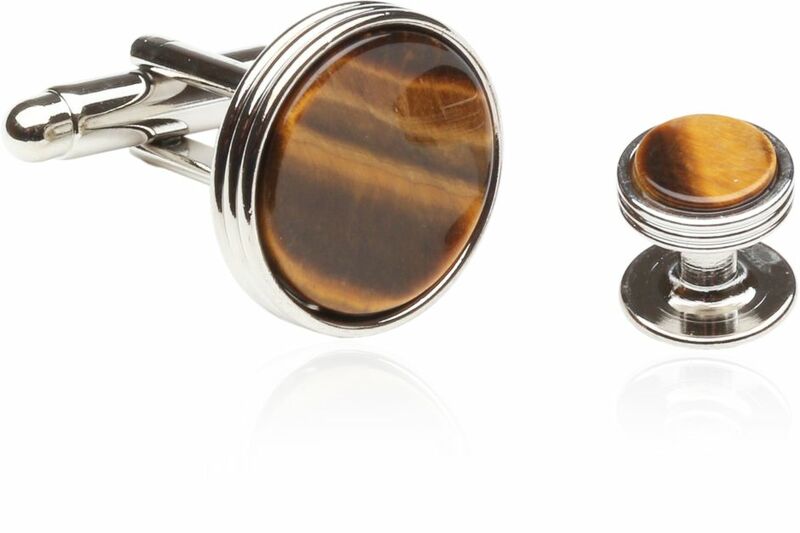 This tiger�s eye cuff link and stud set features a beautiful design that comes with a silver setting. 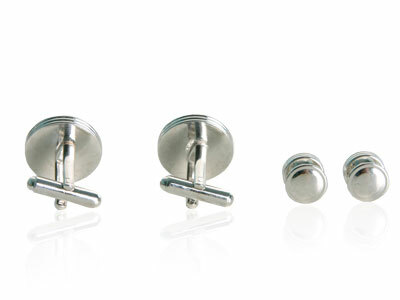 The cuff links are 5/8� while the studs are 3/8� in size. 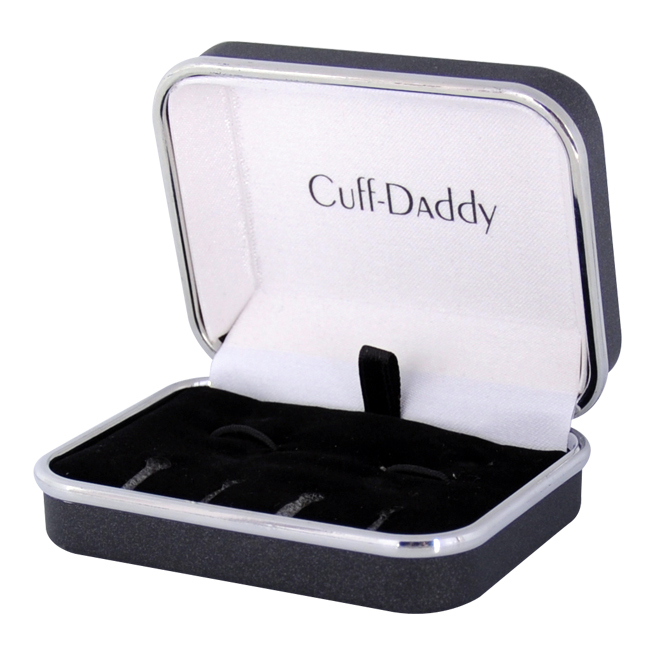 Very fun novelty or speciality cufflink good for parties or a conversation piece. A perfect gift for a outdoor hunter.